We have chosen equipment from some of the best manufacturers in crushing and have creatively configured our plant in a manner which allows us to simultaneously produce several products. 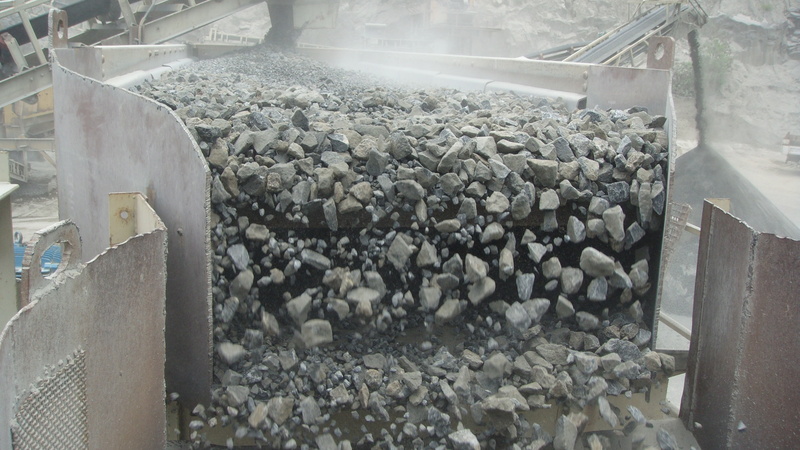 Heading the crushing process is a 900 ton/hour 140 cm/55 inch K140 Metso Jaw crusher that allows us to crush most leftovers from the Armor Filter Stone while giving us sufficient primary feed for the production line. The output of the K140 is screened on a heavy duty punch plate screen to allow for all 0-100 mm/4 inch material to be conveyed to a Cederapids 4511 closed circuit plant to produce either Road Base or 10 mm Aggregate. The remaining output from the K140 goes to another Metso C110 Jaw Crusher in combination with a Metso HP300 cone crusher and a 6 meter JCI Horizontal Screen to produce Aggregate from 12 to 25 mm. 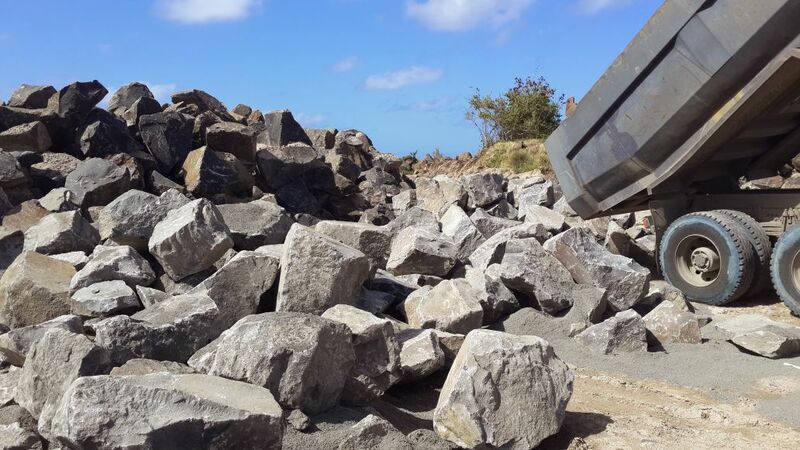 Wilrock is one of the few quarries, if not the only one, that has automated the process of producing Filter Stone hence allowing for the efficient simultaneous production of 10-60 Kg & 60-300 Kg Filter Stone. Wilrock prides itself in being a leader in the Caribbean Basin in the production and handling of Armor Stone. 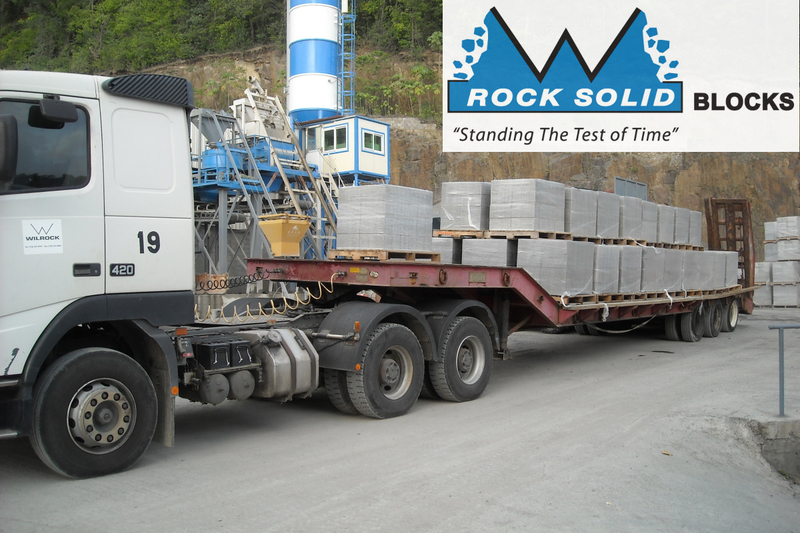 We are fortunate to have the correct rock geology to allow for the efficient fabrication of this product. With that in mind, Wilrock has had the experience and hence all the appropriate equipment to undertake any job. We individually weigh each unit hence we can provide clients with their exact gradation requirements on each barge. One of the two batch plants is currently installed at the quarry in Laborie. 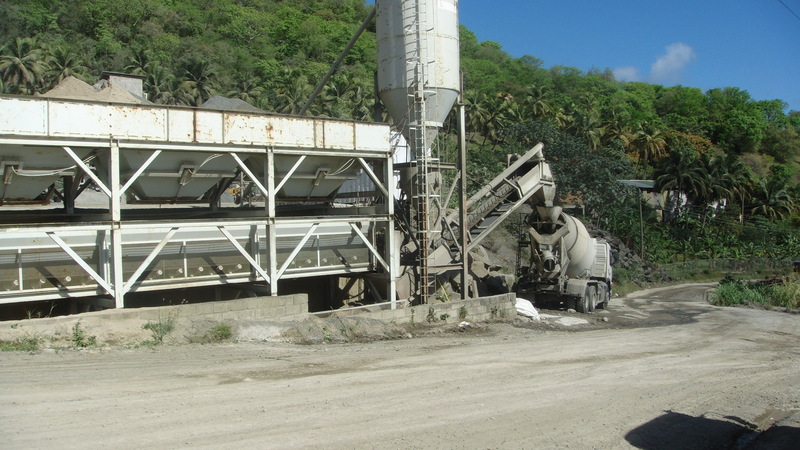 It is a dry mix plant with the ability to produce specialty concrete using an admixture release system. We currently own four Volvo 8 cubic meter concrete trucks and a Putzmitzer Concrete Pump. We have a QA/QC program to guarantee that our customer’s specifications are always met. Wilrock introduces to the region the most technologically advanced, fully automatic block making facility with an atmospheric controlled curing room capable of producing a finished ready to use block in 8 hours..